My thanks to Zeynep of Galen Leather for sending me this iPad Mini & Large Moleskine cover. 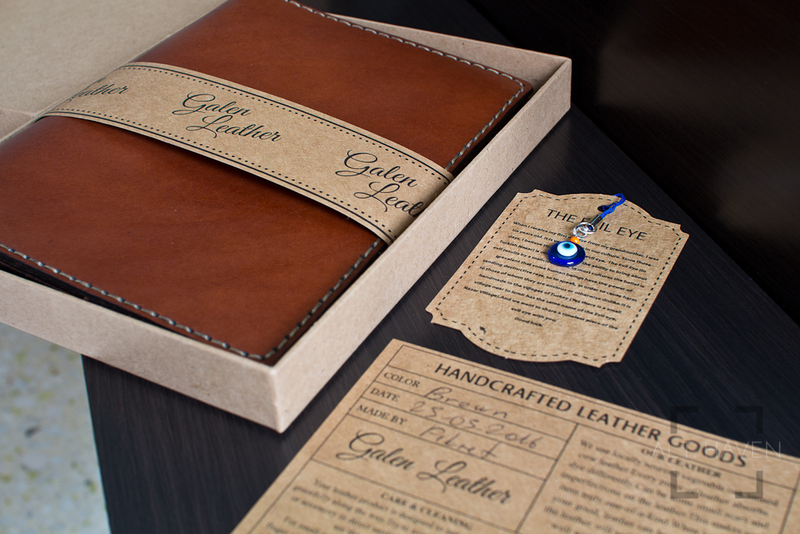 I have previously reviewed Galen Leather’s Leather Field Note cover. Do check it out if you are interested. Field Notes not required. 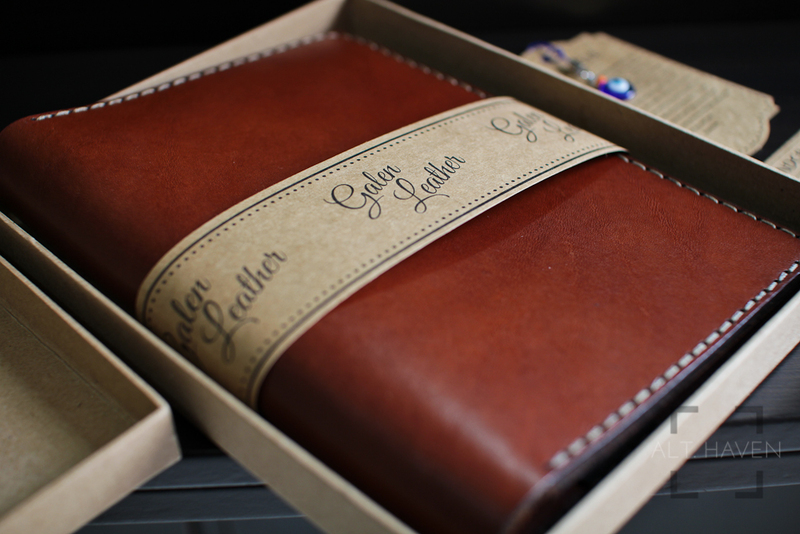 Galen Leather makes hand crafted leather goods for various analog and digital tools. 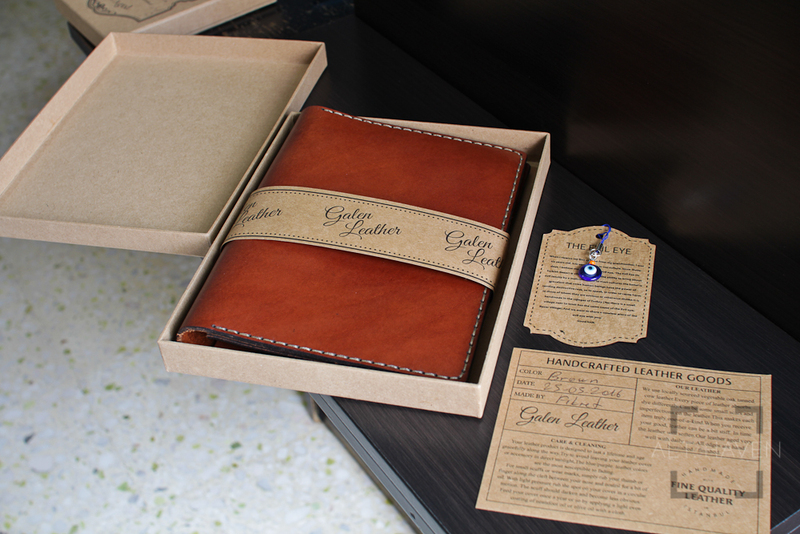 They have leather notebook covers of different sizes among other leather goods. It ranges from those that fits the Field Notes memo books all the way to a large Moleskine notebook. 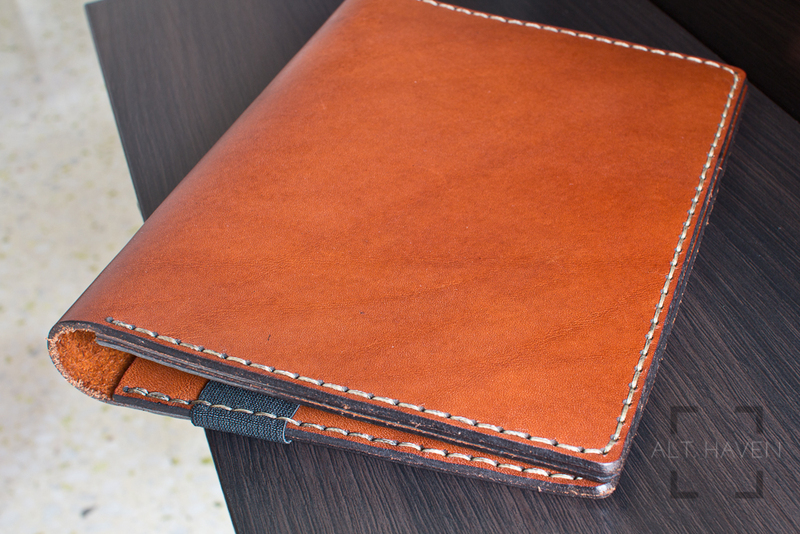 Today I am reviewing the Galen Leather iPad Mini & Large Moleskine cover, what a mouthful. 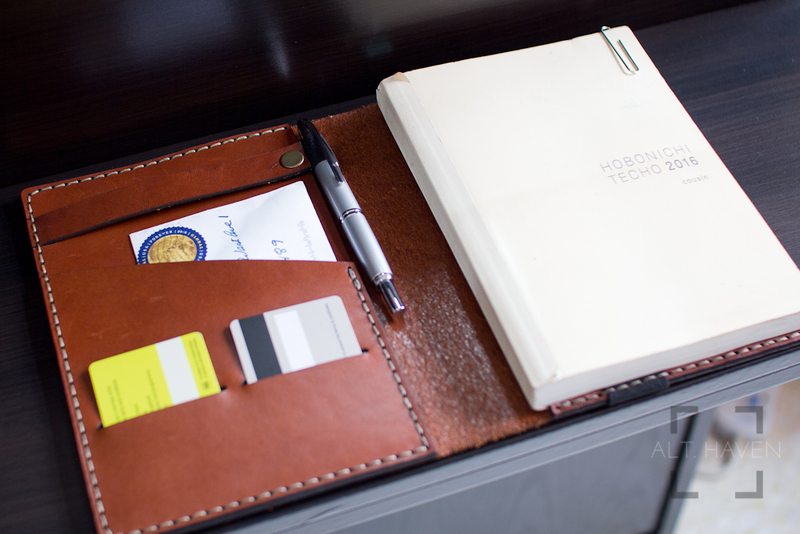 I particularly enjoyed Galen Leather’s design of the iPad Mini & Large Moleskine cover. I got this in the brown leather. Like the Field Notes cover, the leather is thick and the edges are burnished. The stitching is tight and the leather cover is well made. The vegetable tanned cow leather is smooth to the touch and tough. Dragging a fingernail across the cover wouldn’t scar the leather. The cover comes with a thick elastic band to secure the cover. The elastic band is stitched directly onto the leather so it is not replaceable once it gets stretch out. I would love Galen Leather to take that into consideration in future designs of their covers. Like most fountain pen users, I am not a fan of Moleskine notebooks in general so I paired the leather cover with my Hobonichi Cousin. My Hobonichi cousin fit easily inside regardless I had the back cover inside the large pocket or secure it via the black elastic band. I tried it with a A5 Muji notebook and it wasn’t a problem with that too. I suspect that the soft cover of my notebooks is the contributing factor. A hard cover notebook might only be able to fit via the black elastic band. Don’t quote me on that because I don’t have a hard cover notebook handy to give it a try. Loading the leather cover up will make for a very heavy carry. By itself, the leather cover isn’t the lightest one given its thick leather. However, it would give ample protection to both your analog and digital devices. 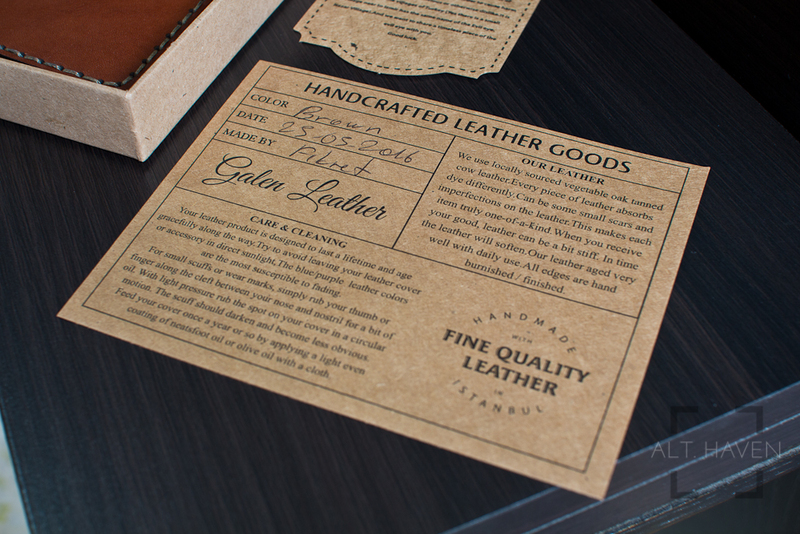 I love that Galen Leather have taken into consideration that we are people living in the modern age. There is no escaping our devices, so they made their leather goods to accommodate both analog and digital. The Galen Leather iPad Mini & Large Moleskine cover costs $65 USD excluding shipping, for all the options that this cover gives you, I think this cover is a steal at this price. My thanks once again to Galen Leather for sending me this iPad Mini & Large Moleskine cover.